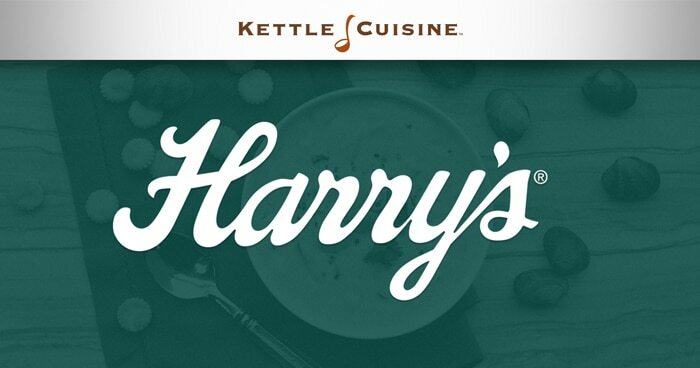 Kettle Cuisine, a New England-based producer of refrigerated and frozen, natural soups, sauces and entrees, announced this week its acquisition of Harry’s Fresh Foods, an Oregon-based custom food manufacturing company. The deal will boost Kettle’s presence in the market and establish it as the “only coast-to-coast fresh soup producer,” the company noted in a release. Harry’s Fresh Foods, founded in 1977, operates an 80,000-square-foot facility in Portland and a 200,000-square-foot plant in Nashville, Tenn. Its products are available in grocery stores nationwide. Private equity firm Kainos Capital, which purchased Kettle in 2015, said in the release that it has invested more than $300 million in Kettle to acquire related businesses, expand the company’s cooking capacity and add new mechanical efficiencies. As part of the 2015 acquisition by Kainos, the firm appointed McClennon, a 30-year food industry veteran who previously served as CEO of convenience foods producer Greencore USA, as CEO. In 2018 Kainos merged two of its other portfolio companies, Bonewerks Culinarte and Savory Creations, into the Kettle Cuisine business in order to expand Kettle’s product offerings to include sous vide entrees, demi-glace, broths and other specialty sauces. Kainos also acquired frozen soup business NORPAC Foods, an Oregon-based farmer-owned cooperative. “When Kainos acquired Kettle, we embarked on a strategy to expand Kettle from a regional fresh soup provider to a category leader capable of serving an increasingly national customer base,” Dan Hopkin, Partner at Kainos Capital, said in the release. Kettle Cuisine and Kainos Capital both declined to comment further on the acquisition.